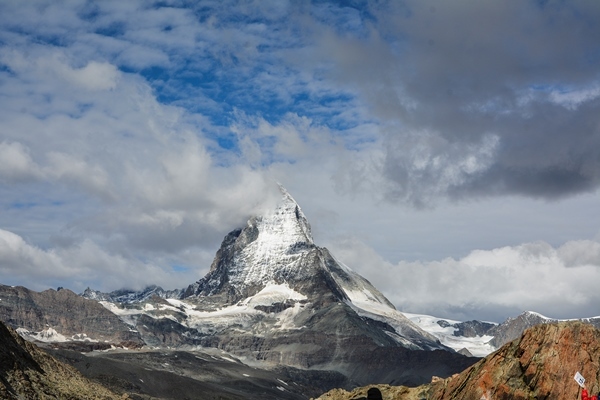 The mountains are calling, and I must go – this is what I told myself while planning my summer vacation. 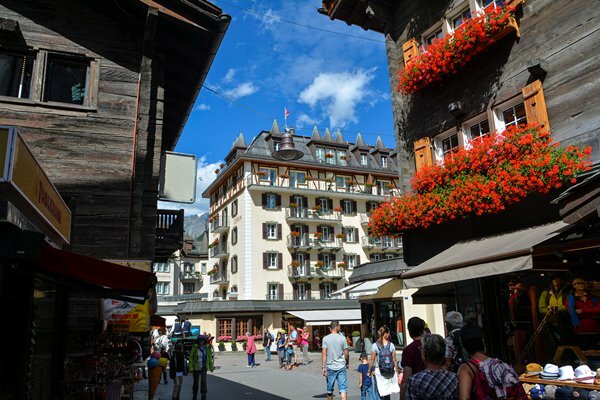 Selecting Switzerland was a no-brainer, as it remains one of the most sought after and popular destinations for tourists around the world, thanks to its alpine peaks, mountain vistas and magical landscape. 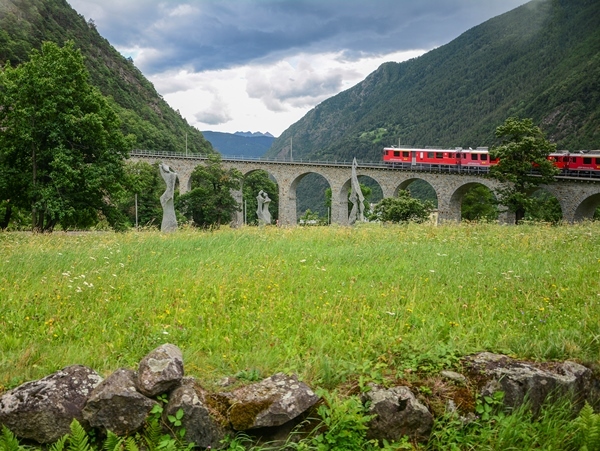 I started my European journey from Chur, reportedly the oldest town in Switzerland, and made my way to the Glacier Express, dubbed the world’s fastest slow train. 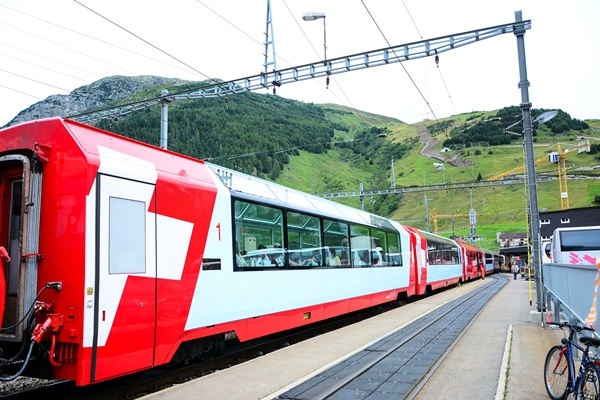 This is a panoramic train which reaches Zermatt, a Swiss mountain resort, passing through spectacular lakes, enormous mountains and breath-taking landscapes. 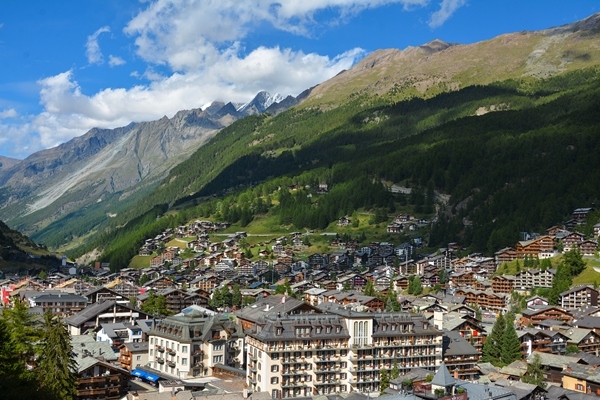 At an elevation of 1,600 metres, Zermatt is a gorgeous resort popular for climbing, skiing and hiking. 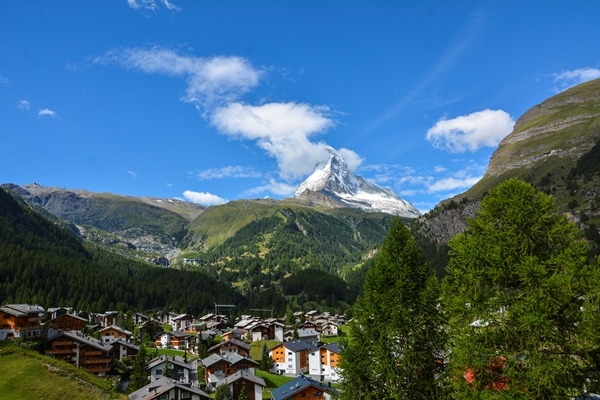 Then there is the stunning view of the Matterhorn, a near-symmetrical pyramid peak whose summit is 4,478 metres high, making it one of the highest mountains in the Alps and Europe. 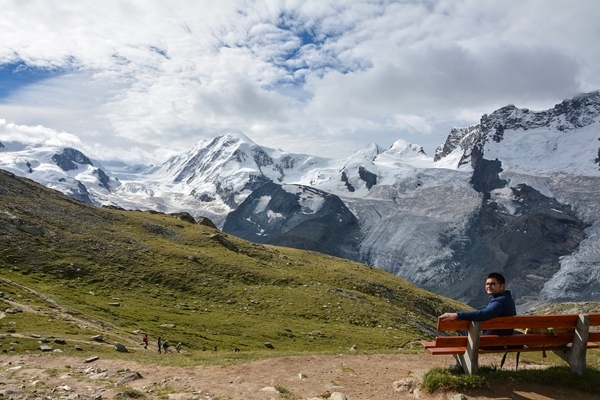 The longing for the Alps took me to Gornergrat, a rocky ridge of the Pennine Alps which overlooks the Gorner Glacier and is easily accessible through rack railway, the highest open-air railway in Europe. 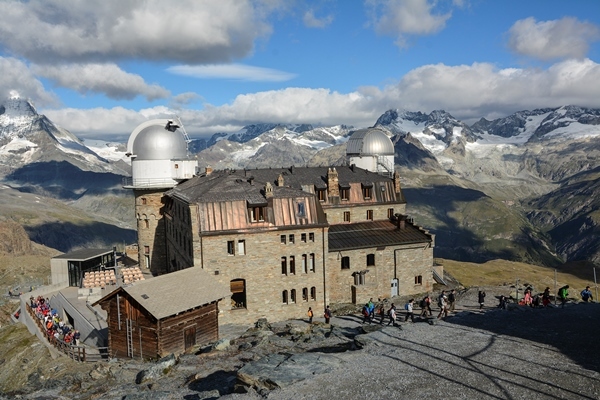 Upon reaching the Gornergrat summit station, I found a hotel at Europe’s highest-altitude: the Kulmhotel Gornergrat, which includes a restaurant, an astronomical observatory and shops. 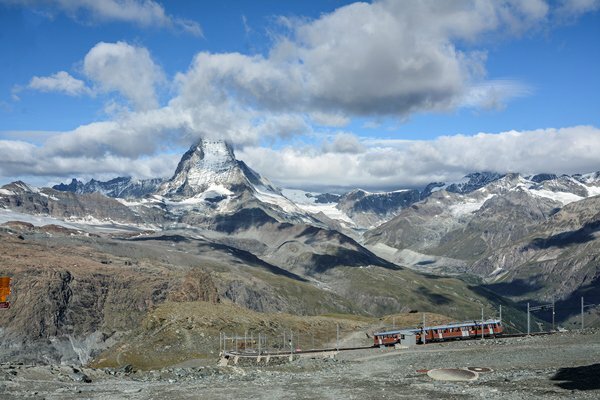 Though the view of the Matterhorn was spectacular, I wanted a cloud-free sight which unfortunately was not possible despite over a three-hour wait. 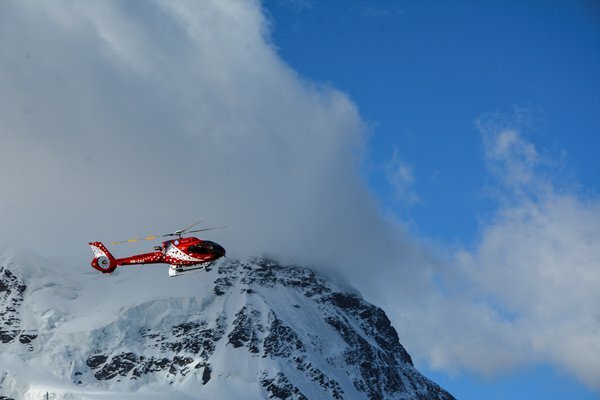 Some people reserve a helicopter for sightseeing to enjoy unparalleled views of the Matterhorn and surrounding areas, but of course, only if you have the budget. 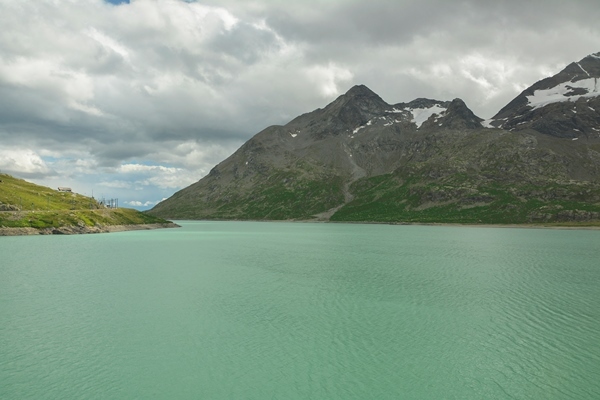 After a great trip thoroughly enjoying what the Swiss Alps had to offer, I started my descent down the mountain by taking the next train but stopped midway at Riffelburg to get more of the magical scenery only Switzerland seems to offer. 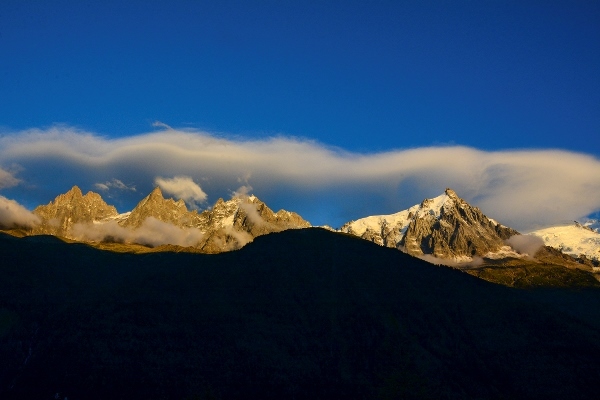 My next destination was Chamonix in France, lying at the base of Mont Blanc (literally the White Mountain), which is the highest peak in the Alps and is near the junction of France, Switzerland and Italy. 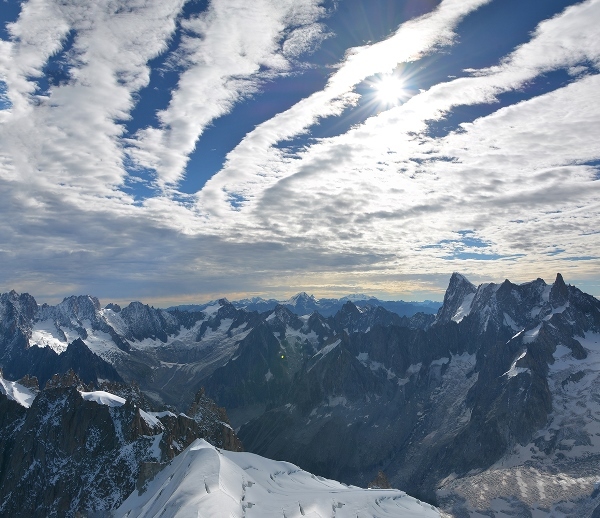 If you are afraid of heights, this mountain is not for you. Why was it on my wishlist, you wonder? 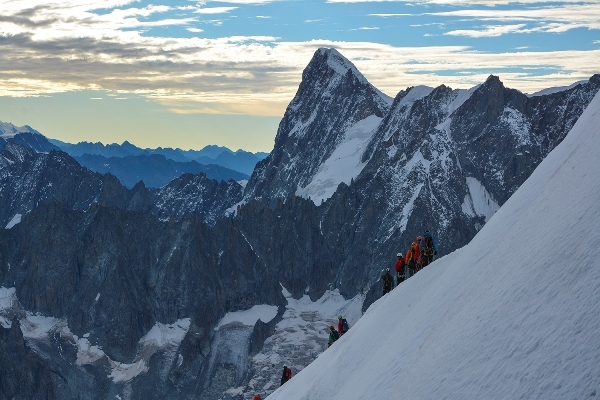 Mainly because I love an adrenaline rush now and then, and the French Alps boasts an experience known as ‘Step into the Void’. 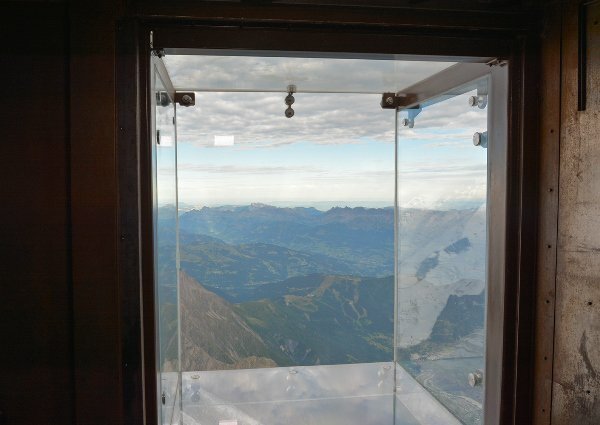 This is a glass room complete with a glass floor, glass walls and glass ceiling panels installed on top of a 3.8-kilometre peak in Chamonix, making this the tallest attraction in Europe. The day I read about this attraction is the day I decided that one day I would visit this engineering marvel in the lap of astounding nature. 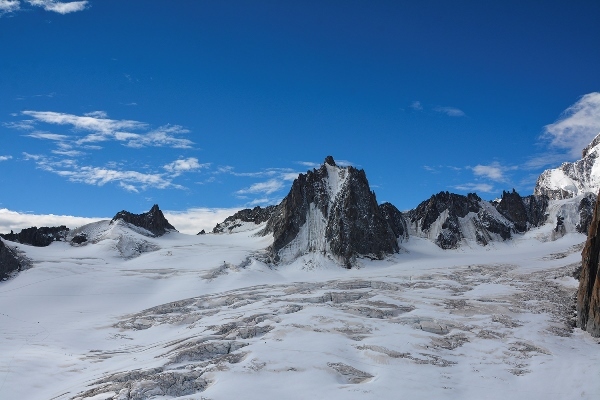 Once you step into the void, the nearest ground remains an unforgiving 1,035 metres below. 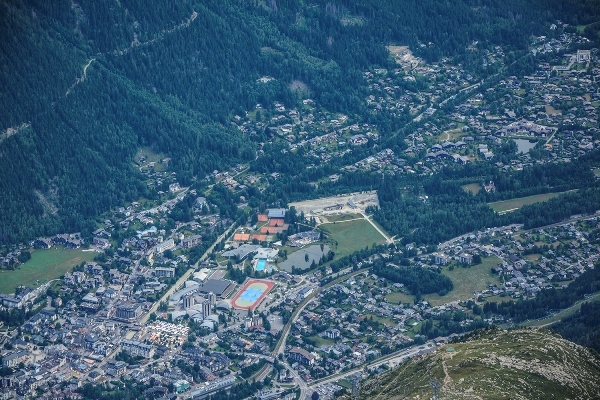 Four hours after leaving Zermatt, I reached Chamonix. 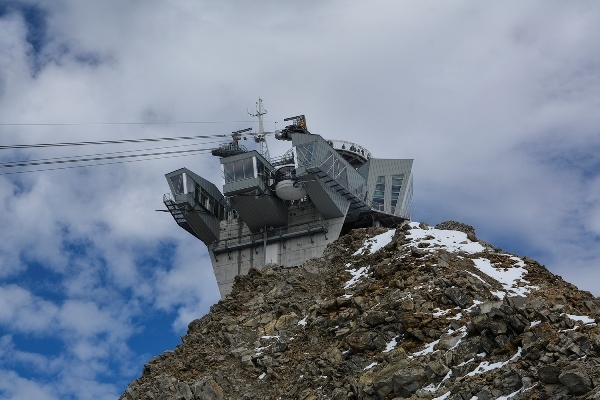 To go towards ‘Step into the void’, one needs to take the cable car to Aiguille du Midi, the peak where this glass cabin is fitted. 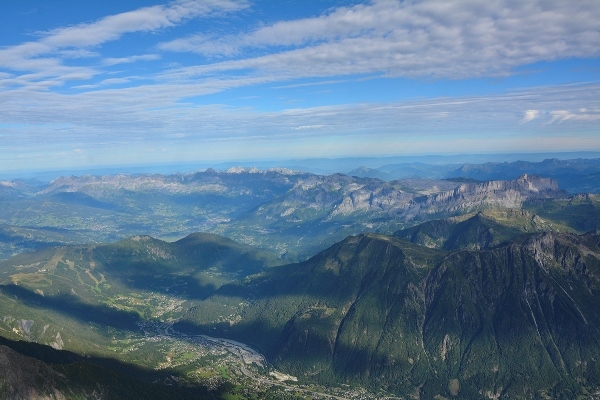 The two-way ticket for the cable car costs 60 Euros, while charges for the ‘Step into the Void’ are included in this fee. 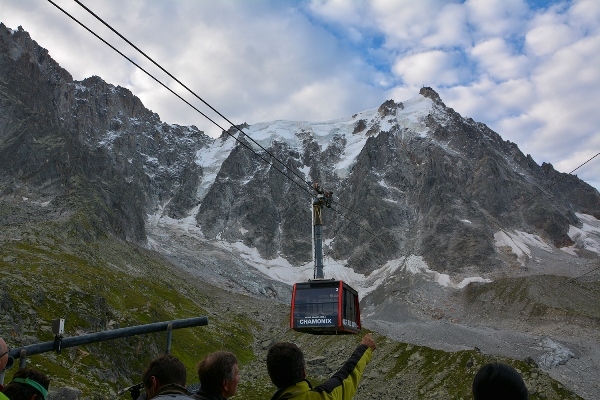 The first cable car departs from Chamonix for Aiguille du Plan, from where I took the next car to the Aiguille du Midi. The cable car is almost always fully packed with around 50 or so people, making it very inconvenient to take pictures along the way. 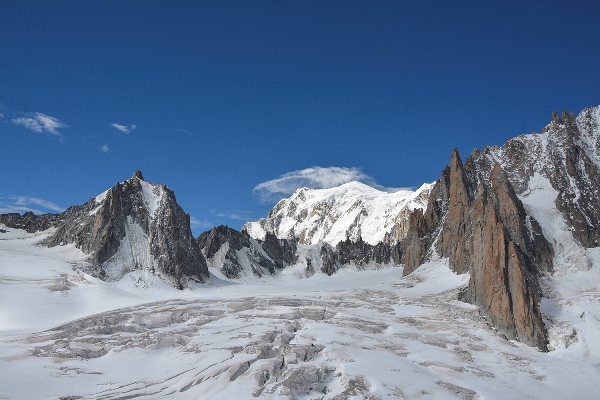 It was already too cold when I reached the Aiguille du Midi complex, but the view was stunning, especially of Mont Blanc. 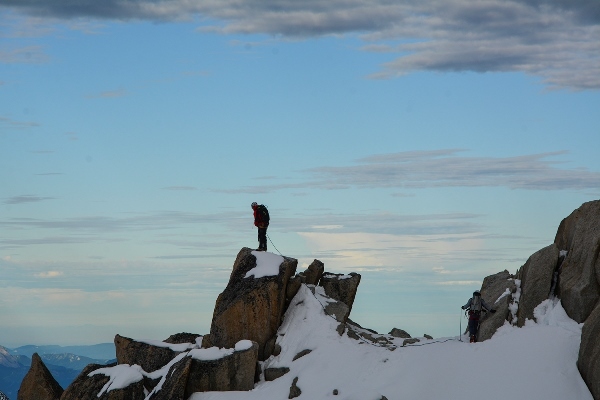 It is worth stating that it gets unnaturally cold at that high of an altitude, which is why travellers should always ensure they bring warm clothing and durable shoes. 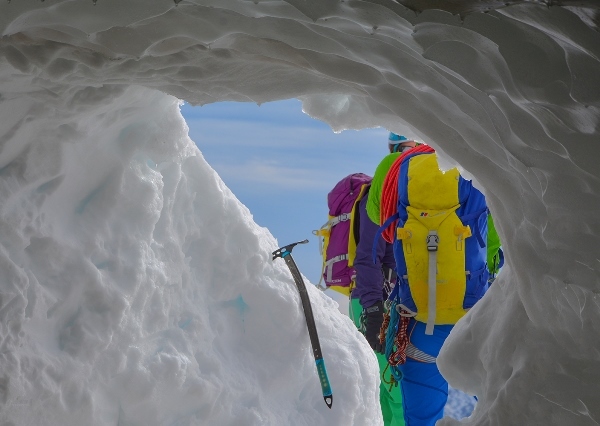 I finally reached the top and was ready to step into the void, and while I was a bit scared, it was an incredible experience that I will never forget. 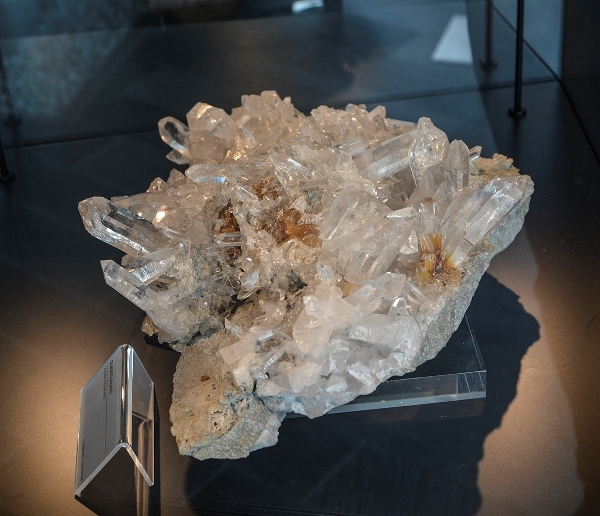 There is an attendant present inside the void who controls the number of people on the glass (as there is a limit) and also takes pictures of visitors. 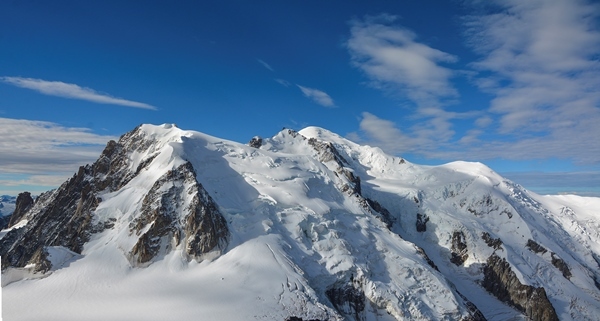 The Aiguille du Midi is the starting point of the three Monts route to ascend Mont Blanc, and from this point, you can also take the Panoramic Mont Blanc Gondola, where the view will literally take your breath away. Additionally, this also takes you to Italy in under one hour. 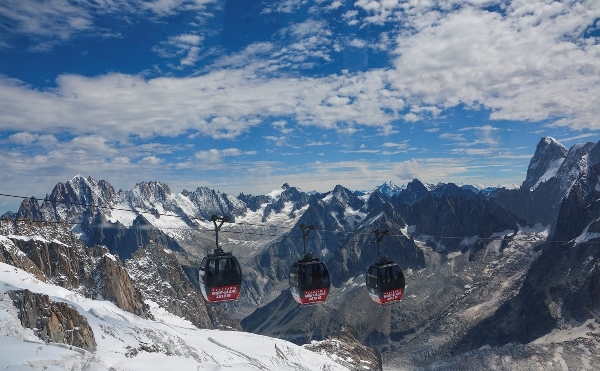 Having made it this far, deciding to take this gondola was a no-brainer. Thus, I bought the ticket for 30 Euros and continued my journey. 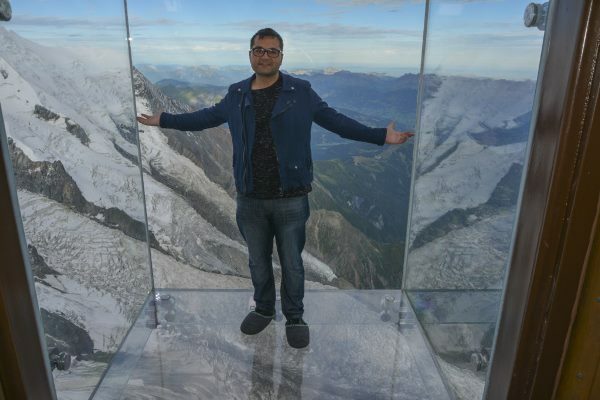 The experience was comfortable and serene, with the view being one of the best I had ever witnessed in my life, while the cable car was heated and travellers could open the glass window to take better pictures. 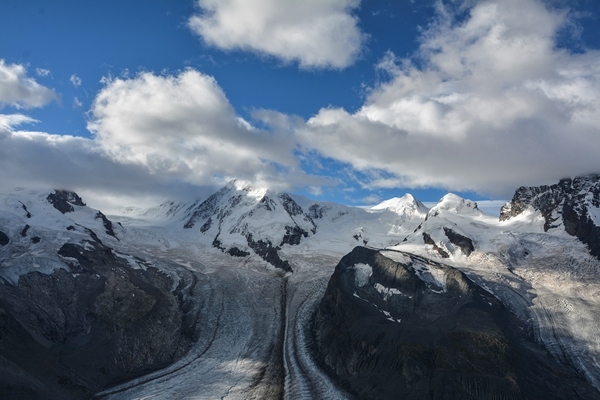 It’s hard to put into words the experience of feeling closer to the blue sky and being surrounded by white intimidating mountains as the ground lies far below your feet. 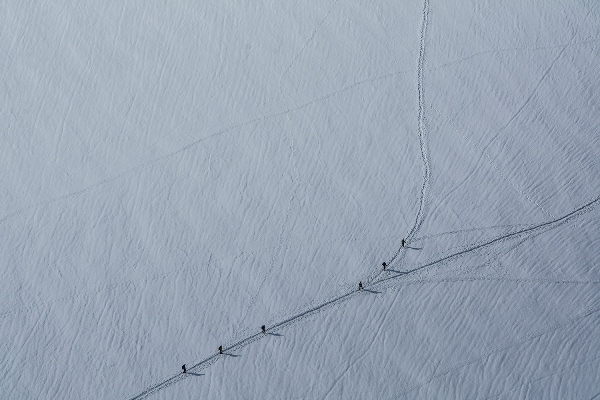 Along the way I saw climbers scaling the glacial mass and colourful camps on the snow, depicting a large number of people who came to camp and experience the cold. 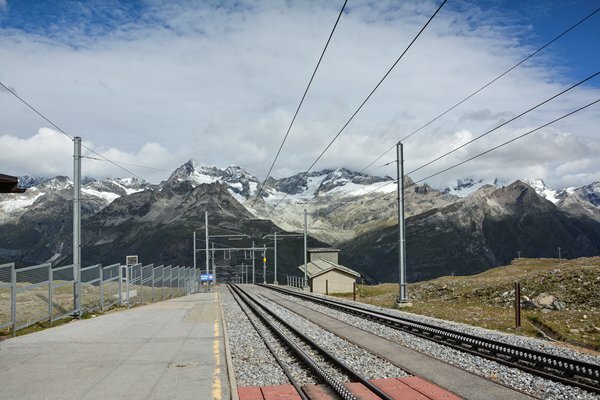 Once I reached the other end of the cable car, the Helbronner station, I was already in Italy. 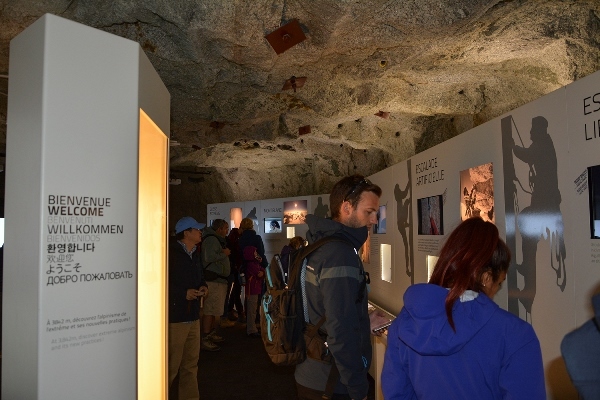 Here I found a display of various rock samples found in this region, along with details of their formation and their usage in our daily lives. 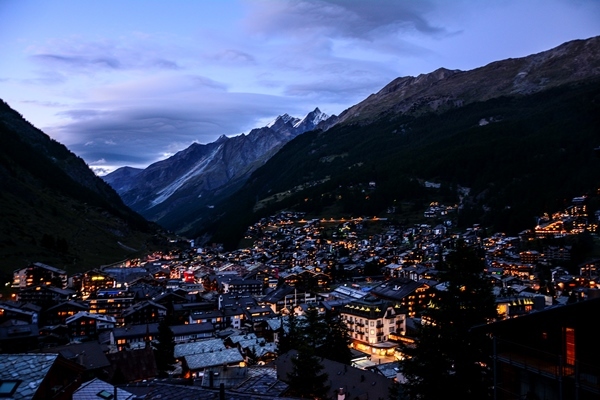 As they say, you will find a restaurant on top of every mountain in Europe, which is 100% true. 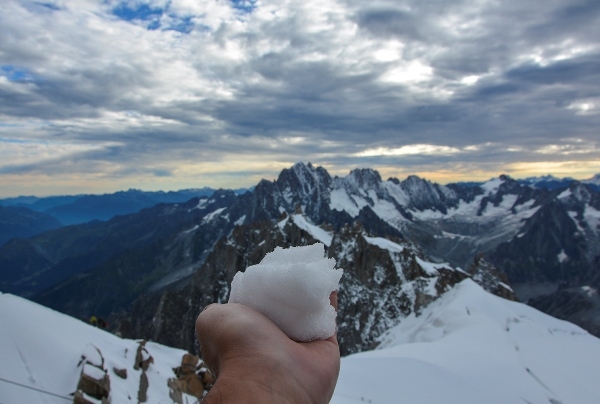 I took some time for refreshments and to relax, after which I headed back to the Aiguille du Midi. 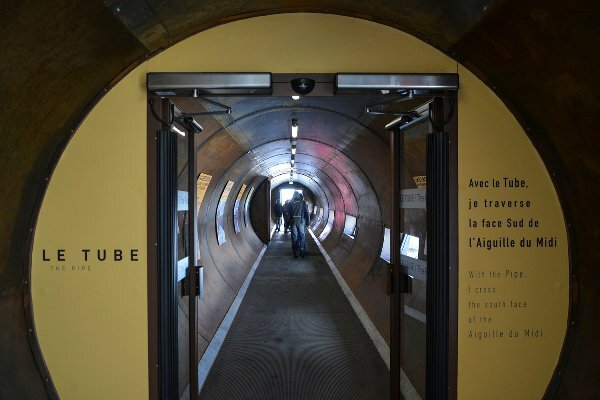 Once I reached it, I visited the ‘Espace Vertical’, a space created in a cave of ice. 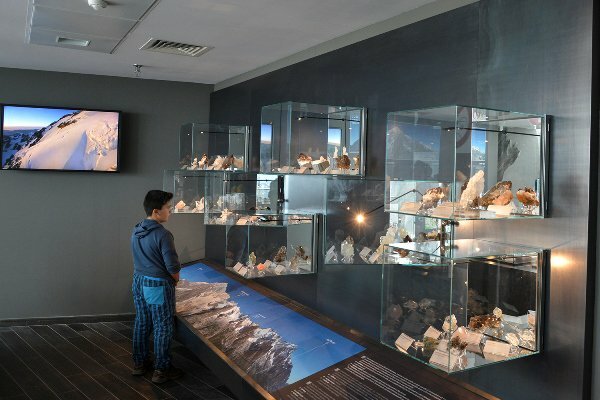 There’s also a museum here that displays climbing and mountaineering memorabilia, and at 3,777 metres above sea level, this is the highest museum in the world. 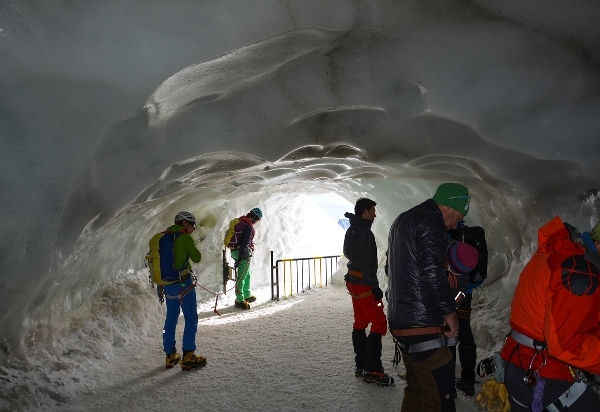 One can also walk through a tube to cross the Southern face of the Aiguille du Midi and enjoy the mountain from another angle. 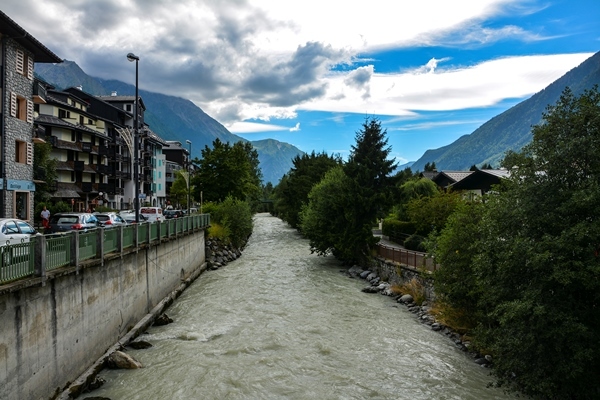 Though this is not a picturesque surrounding one wants to leave willingly, and I felt the same, I nonetheless had to say goodbye to the Alps and make my way back to Chamonix. 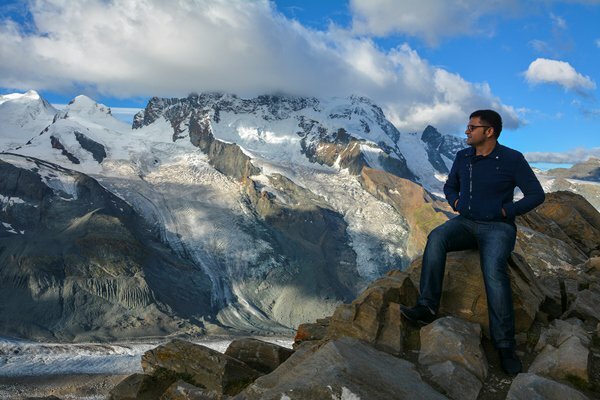 I’ve travelled to countless cities, including all of Europe, but this trip to the Swiss and French Alps still managed to offer an experience unparalleled to any other trip I have taken in my life. 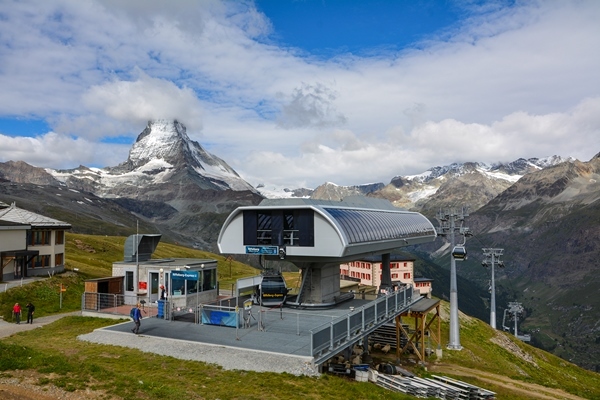 Even though I live in Dubai, where engineering marvels are not short in supply, I still found the skills of these European engineers to be the most astounding factor, as these attractions are easily accessible and highly luxurious despite the hindrances caused by the altitude and the temperature. 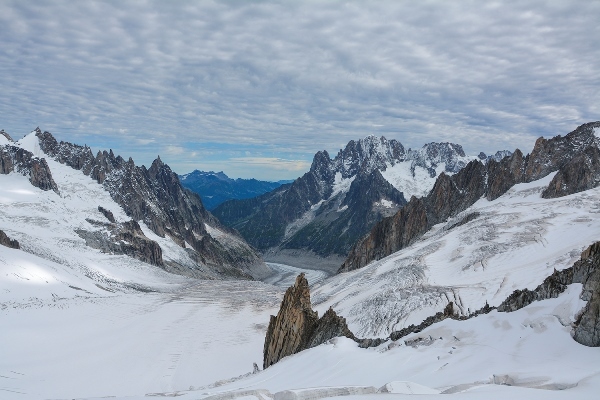 If you fancy mountains and like looking at nature at its finest, you should definitely chalk a trip to the Alps down on your bucket list.